Tis the season for bountiful fruit and veg and that includes pears. Neither the husband or myself are huge “must have pears!” people, but when I was at the market, these pears were laying there. Perfect and unbruised, they were giant fresh-picked pears that begged to be taken home. 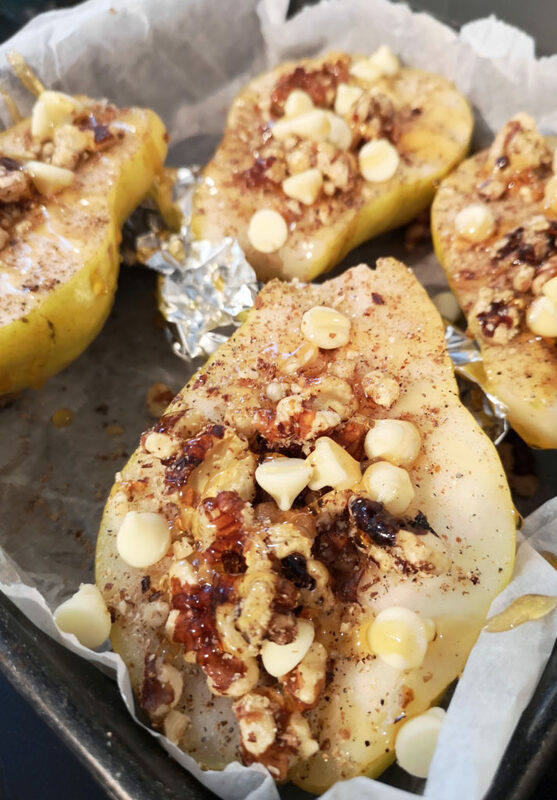 I put them in a paper bag to ripen and when two were ready I made this simple, yet delicious, dessert of baked pears. Hubby commented a couple times on how amazing it was and how the pears were so good, that he doesn’t even like honey and it was still devine. Served with a bit of Greek yogurt with honey whipped in, they were elegant (and tasty) enough to serve to dinner guests. The honey was a local wildflower honey that is kinda ridiculous and yummy! Slice the pears in half and use a melon baller to core them. (I used a metal 1/2 tablespoon and it worked like a charm). Line a 8" square pan with parchment paper, put down your tinfoil support, and place the pears in the pan. Sprinkle with the cardamon, nutmeg, cinnamon, walnut pieces, and white chocolate chips. Drizzle generously with the honey. Bake at 425°F for 20-25 minutes. 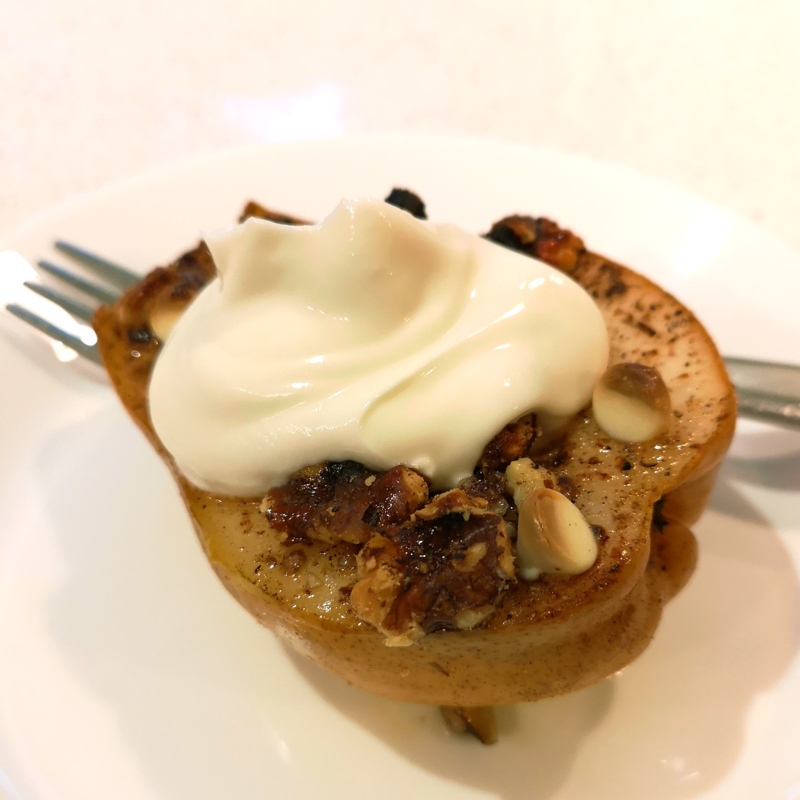 Serve topped by a dollop of Greek yogurt that has been whipped with honey.